Determining hand laterality during human evolution is important in order to identify brain hemispheric lateralization for motor tasks and, indirectly, to gain information on the complex cognitive functions of the human brain. 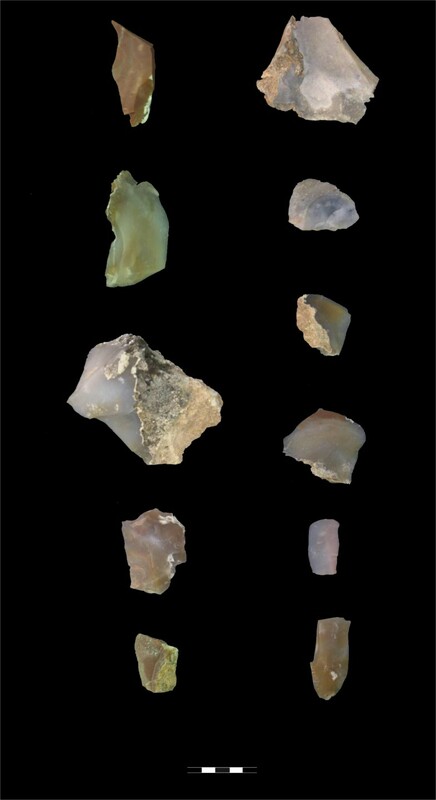 In this paper, we present a new method for inferring handedness from lithic evidence. 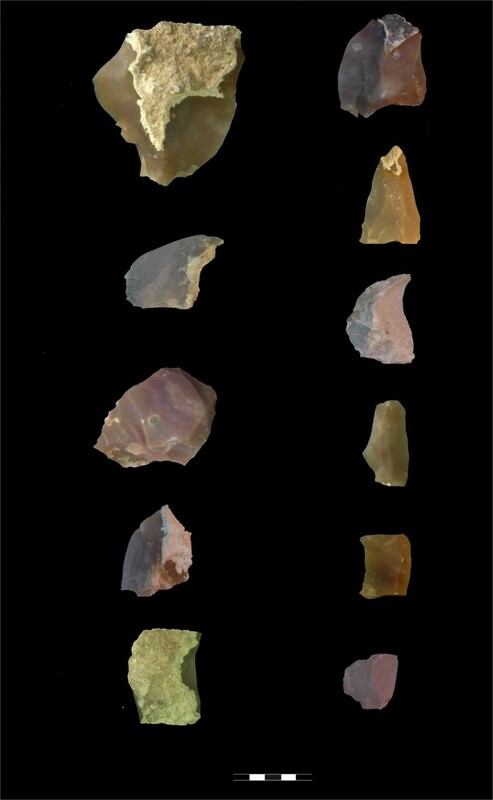 The study is based on an analysis of the scatter patterns of lithic remains from stone-knapping episodes. An experimental programme was carried out by 14 knappers (eight right-handed and six left-handed), ranging from individuals that had never even struck two pebbles together to individuals who were quite familiar with prehistoric tools and had some degree of practice. 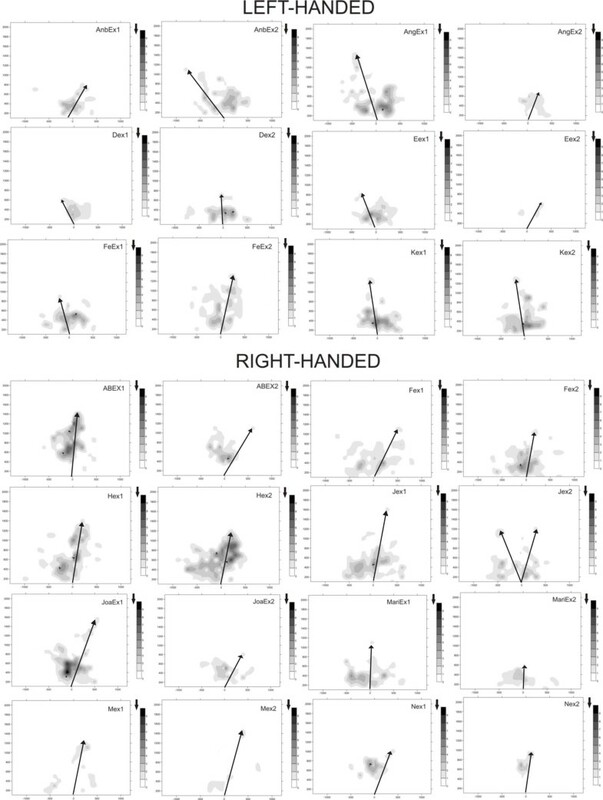 The results of the experiment show that the material scatter patterns of right- and left-handed knappers at group level are different, but they do overlap at certain intervals. 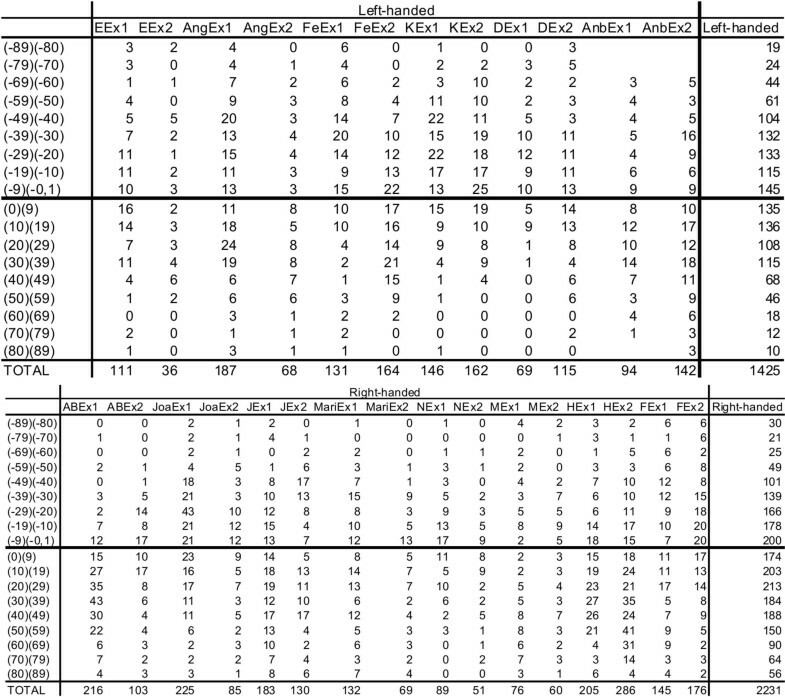 At the individual level, the probability of falsely ascribing left- and right-handedness has also been estimated. In addition, we have adapted this method to be applied to the archaeological record. 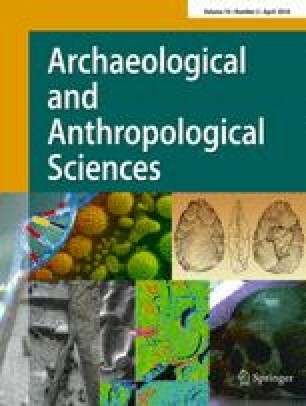 In this case, only well-preserved knapping events with no post-depositional alterations can be used to assign left- or right-handed knappers, with the former being more reliably detected than the latter. The online version of this article (doi: 10.1007/s12520-016-0378-0) contains supplementary material, which is available to authorized users. This research was funded by the Spanish MICINN (projects HAR2012-32548/HIST, CGL2012-38434-C03-01/03 and CGL2015-65387-C3-1-P (MINECO/FEDER)), the Generalitat de Catalunya (AGAUR 2014 SGR-899) and Universitat Rovira i Virgili (2014PFR-URV-B2-17 and 2015PFR-URV-B2-17). The authors are grateful to everyone who took part in the experiments. The authors would also like to thank N. Geribàs for helping in the experiments and J.I. Morales for his comments on the previous versions of the draft.